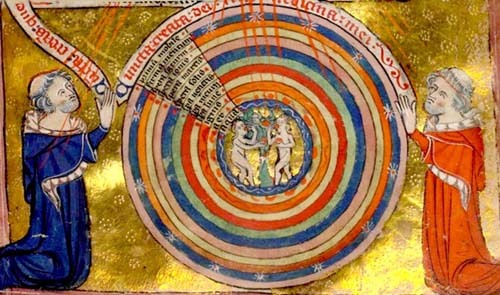 ANCIENT models of of contemplation included the notions of contemplation both as The Vision of that which is Above and The Vision from Above of what is Below. This is illustrated in selected texts from the following sources. In the apocalyptic literature of the JEWISH PSEUDEPIGRAPHA The BOOK of ENOCH portrays the prophet as a seer of the heavenly realms, whose visions have a message for the Jewish people of that era. First, that there are RHYTHMS of ACTIVITY (practice) AND RECEPTIVITY (contemplation) rather than a simple, linear ascent. Second, that spiritual growth requires the dimensions of both APOPHATIC and KATAPHATIC theology and experience. Relatively recently the term SPIRITUALITY has been used to encompass the disciplines formerly referred to as ascetical and mystical theology.